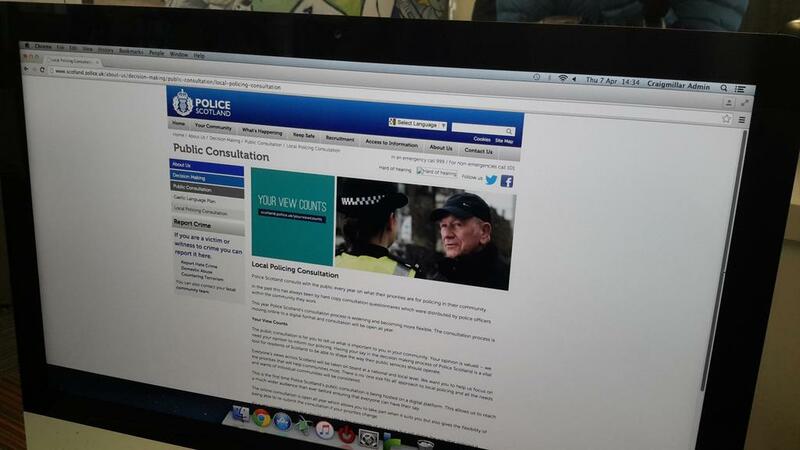 Police Scotland have launched their annual public consultation, asking for feedback on the way their communities are policed. It's the first year the consultation is being held online, which they say will help them reach a much wider audience. Police Scotland say it will help them to focus on the priorities that matter most to the communities. A community group that took ownership of Portpatrick Harbour last year has put in a £1 bid to buy more local land. Twelfth century abbey badly damaged by arson nearly a decade ago reopens to public. Three workshops are being held in Hawick to discuss plans for tackling and minimising flood damage in the town. A teenager born with a rare genetic condition will finally meet others with the same condition thanks to the kindness of strangers in her home town of Penrith. Natasha Todd has Russell Silver Syndrome which affects her growth. A local estate agents has made in their mission to raise the one and a half thousand pounds needed to send Natasha and her family to the annual gathering of the Child Growth Foundation. They’ve done it by baking cakes as Samantha Parker reports. Plans for a controversial skatepark have been approved by Scottish Borders Council despite several complaints from neighbouring residents. The proposed site for the £200,000 project is near Jedburgh Town Centre. A fund has been launched today by Scottish Borders Council to help communities celebrate the return of the Borders Railway. The Borders Railway Celebration Fund will offer grants of a few hundred pounds up to a normal maximum of £2,500 for special events to mark the occasion. It is open to all non-profit making voluntary and community organisations, community councils, schools, public bodies and places of worship, and applications can be submitted any time up to 15 December 2015. “We know that many communities wish to put on special events to commemorate and celebrate the arrival of the Borders Railway and this fund will assist them to do this. “The fund will operate in a very similar way to the highly successful Queen’s Diamond Jubilee Fund and we are very keen to encourage applications from all over the Borders. We have worked hard to make the fund as flexible and as straightforward as possible and I hope that many Borders communities will apply and be involved in the celebrations." The achievements of community groups and individuals in Nithsdale are being celebrated at an awards ceremony. Nominations are now needed for the Nithsdale Community Achievement Awards 2015 taking place at Dumfries' Easterbrook Hall on 28 March. The awards recognise and celebrate the positive role played by a host of people and groups in the Nithsdale area from adult learners to community volunteers. The closing date for nominations is: 5pm Friday 28 February 2015. Villagers in Johnstonebridge are celebrating after securing almost £100,000 for local projects. The money will be spent on a Community Garden, allotments and land for locals to create affordable self-build housing. They hope it will be the first step towards restoring a hub in the village as Ryan Dollard reports.